We noticed some interior construction activity on the N Street side of Constitution Square in NoMa (2nd and N, NE) this afternoon and some building permits posted in the window. Based upon the leasing agent’s (KLNB) website, we can confirm that Dunkin’ Donuts will be coming soon to that space. NoMa will now have a Dunkin’, a Starbucks, and a Tynan Coffee and Tea within two blocks of each other. Approximately two months ago, The Spot Deli opened at 701 H Street after significant renovations were conducted to what had been Heaven & H Deli. While The Spot Deli has mostly flown under the radar for the past couple of weeks, its owners have grand plans for the neighborhood. The owners of the Deli are planning a second location (The Spot on H) several blocks east on H Street. That location has been undergoing a complete reconstruction for well over a year now. Once open, The Spot on H will have several bars and will serve “American cuisine with international flair.” As they wait for construction to wrap up there, the owners of the two restaurants–including Chef Troy Williams, a graduate of the Culinary Institute of America and a veteran of several restaurants around D.C.–hope to begin ingraining themselves in the neighborhood with The Spot Deli. We had an opportunity last week to sit down with Basia Davis, Manager of The Spot Deli, to talk about the opening and the plans for the future. Basia is a native of D.C. who graduated top of her class and then went to culinary school at Johnson & Wales (she laughs that there is a friendly alma mater rivalry between her and owner Troy Williams, who graduated from Culinary Institute of America). She first met Williams through the Careers Through Culinary Arts Program (CCAP) that Williams is very involved with in D.C. The program provides public school students across the country with opportunities for education, training, and employment in the culinary world. She stayed in touch with Williams after culinary school and became Manager of The Spot Deli a few weeks ago. Phrases such as “seasonal,” “local,” and “farm-to-table” have become so overused in restaurants across the country that they have begun to lack meaning and simply induce eye-rolling amongst diners. Seemingly anyone can throw a few “local” or “seasonal” vegetables on a plate and claim their restaurant fits this bill. 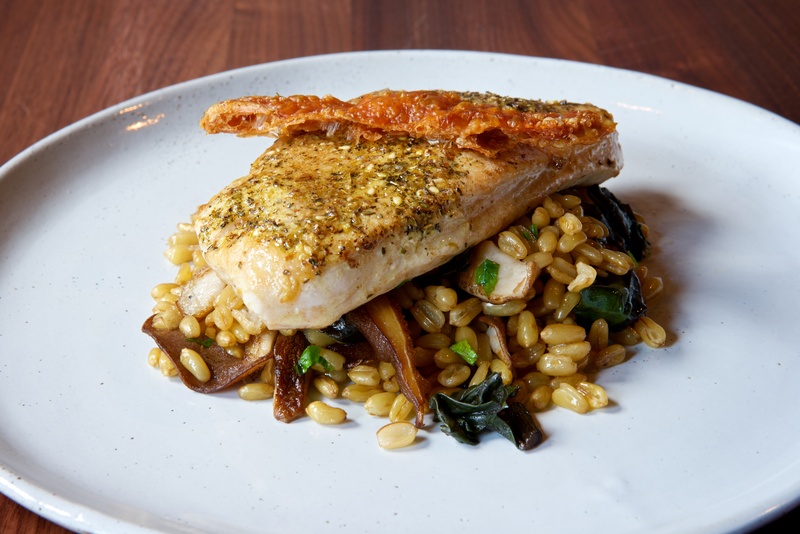 While such restaurants are a dime a dozen at this point, restaurants that truly embrace local, seasonal sourcing through close relationships with farmers and suppliers and combine it with superior culinary skills in the kitchen, warm service in the front of the house, and a focus on their neighborhood are truly rare. 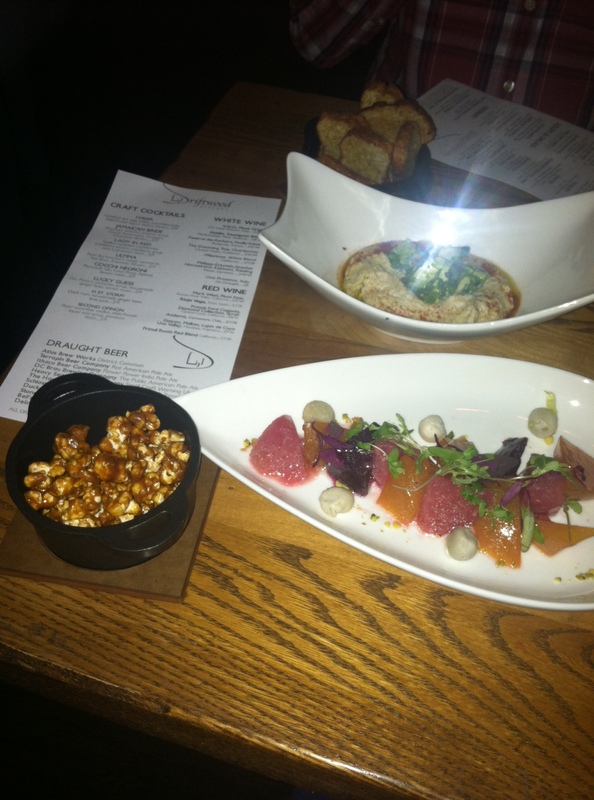 DC Harvest is such a place and has quickly become our favorite restaurant on H Street. 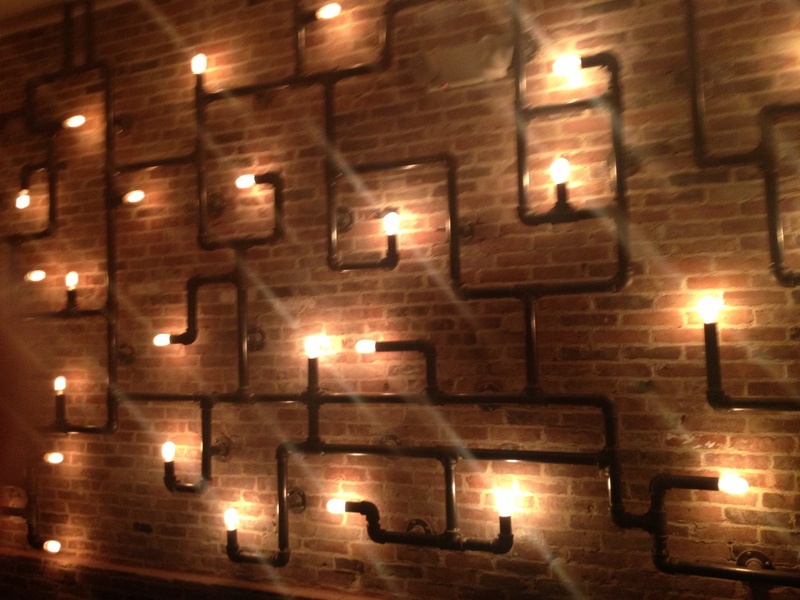 Last winter, we looked at the new restaurants and bars that were coming to H Street. Now that several months have gone by, we wanted to take a look at what restaurants have opened, what ones have made construction progress, and what new restaurant concepts have been announced recently. For each of these categories we list the establishments in order of going west-east down H Street. If we’ve missed a place, please let us know in the comment section. You can see previous versions of H Street’s Horizons here, here, and here. Driftwood Kitchen (400 H Street)–new Mediterranean restaurant that replaced the controversial Tru Orleans restaurant that closed a year ago. Our coverage here. Micho’s Grill (500 H Street)–in the summer, Micho’s Grill brought fast casual style Lebanese food to the western end of H Street. Our coverage here. 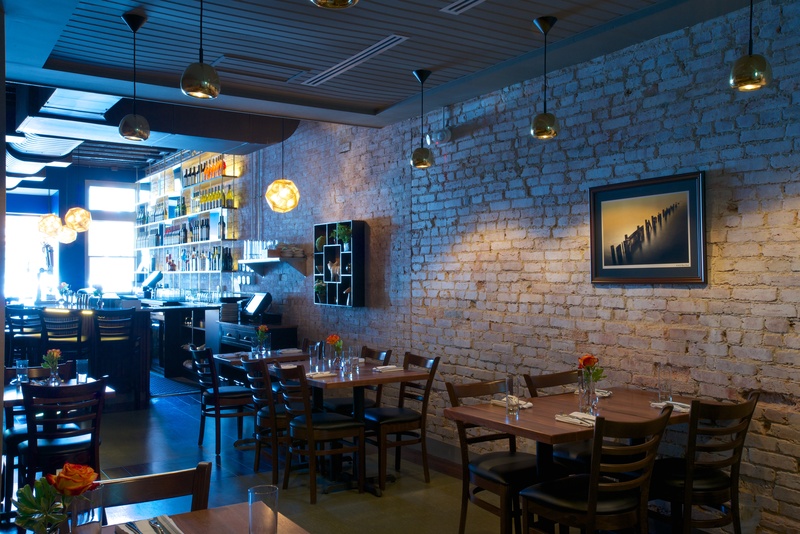 DC Harvest (517 H Street)–in late summer, DC Harvest opened for dinner and brunch. 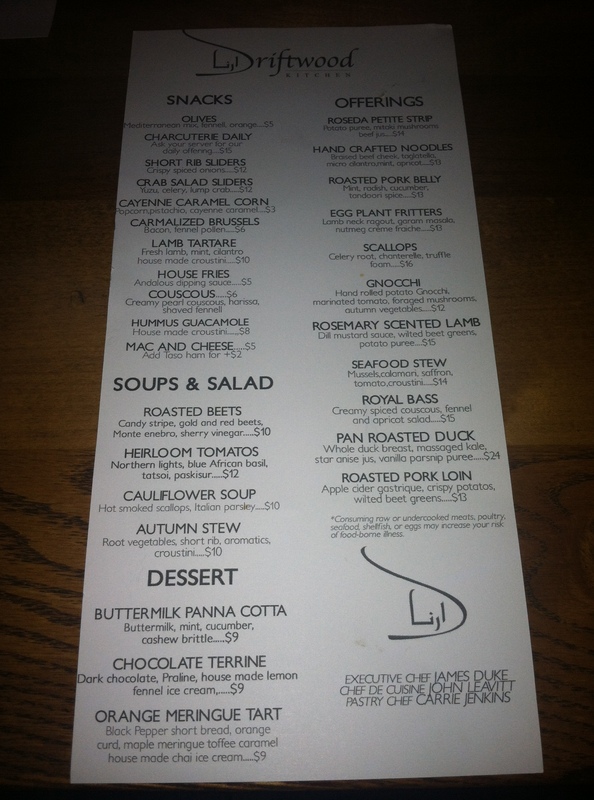 The new American restaurant has a seasonal menu that changes based upon what is in season. 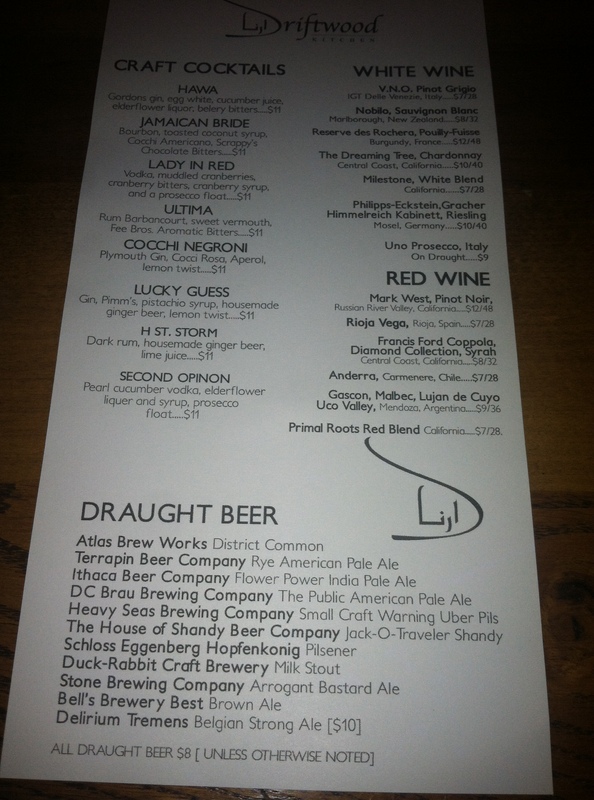 They focus on locally sourcing as many of their ingredients as possible, both for food and for drinks. Arthur Ringel, the head chef, was previously head chef at Hank’s Oyster Bar. Our coverage here. The Spot Deli (701 H Street)–breakfast and lunch spot that replaced Heaven & H after renovations. From the same owners as The Spot that has not yet opened further east on H Street. Po Boy Jim (709 H Street)–after many months of construction, Po Boy Jim opened for lunch and dinner in late June. The restaurant has an extensive menu of cajun po boys as well as po boys that are influenced from cuisines around the globe. Our coverage here. 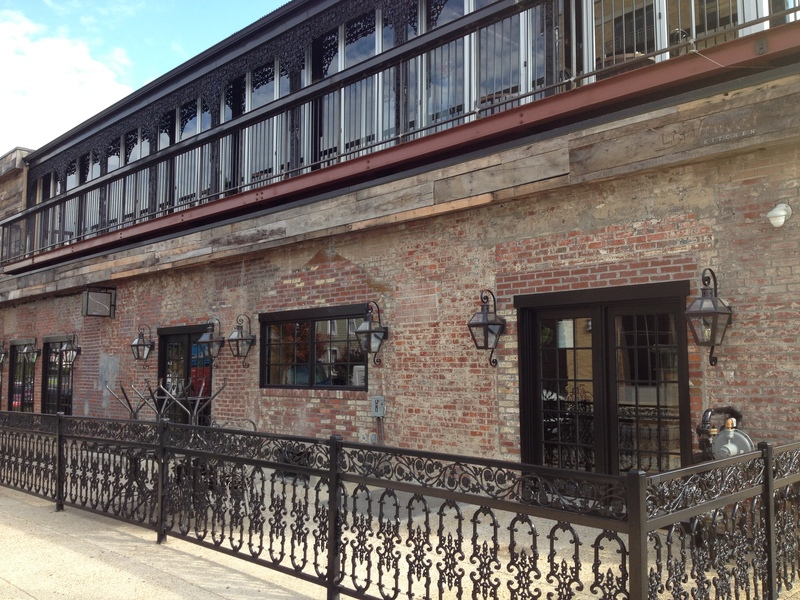 Kitty’s Saloon (1208 H Street)–country-western restaurant and whiskey bar that replaced the long closed Souk restaurant. Our coverage here. Pizza Parts and Service (1320 H Street)–this space owned by Taylor Gourmet was previously Taylor Charles Steak and Ice and served cheesesteaks. That concept closed down late last year (you can now get cheesesteaks at all of Taylor Gourmet’s locations) and reopened as Pizza Parts and Service, which serves pizzas by the pie or the slice. They also deliver. Website here. Ocopa (previously Chicken Tortilla) (1324 H Street)–the Peruvian restaurant opened this summer and serves both dinner and lunch. They offer Peruvian chicken, many types of ceviche, and several other Peruvian dishes. Website here and early Washington Post review here. Bullfrog Bagels (1341 H Street)–previously a pop-up bagel place around town, Bullfrog opened its permanent location in part of the space that Star and Shamrock has occupied for years. Our coverage here. Impala Cantina y Taqueria (1358 H Street)–originally a pop-up taco window several years ago, H Street residents have been waiting years for Impala to open its permanent brick and mortar location. They opened earlier this year with a very cool first floor that opens up into a large courtyard for outdoor eating. Website here. 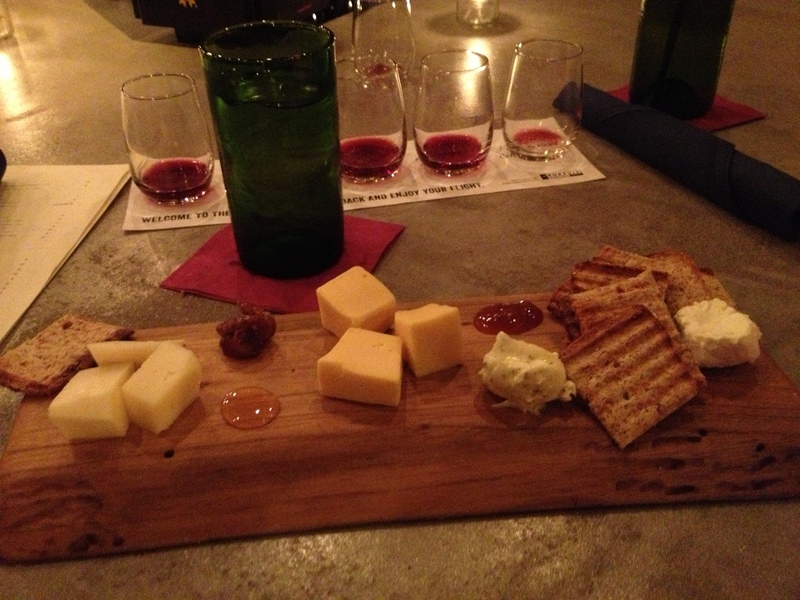 Pursuit Wine Bar (1421 H Street)–wine bar and grilled cheese restaurant opened at the far east end of H Street. Our coverage here. Sticky Fingers Bakery (406 H Street)–Vegan bakery with existing location in Columbia Heights. Space is currently undergoing major renovations. Nando’s (411 H Street)–South African (with major Portuguese influence) chicken chain will open a location on the eastern end of H Street sometime next year. The space must undergo major renovations before Nando’s can open. 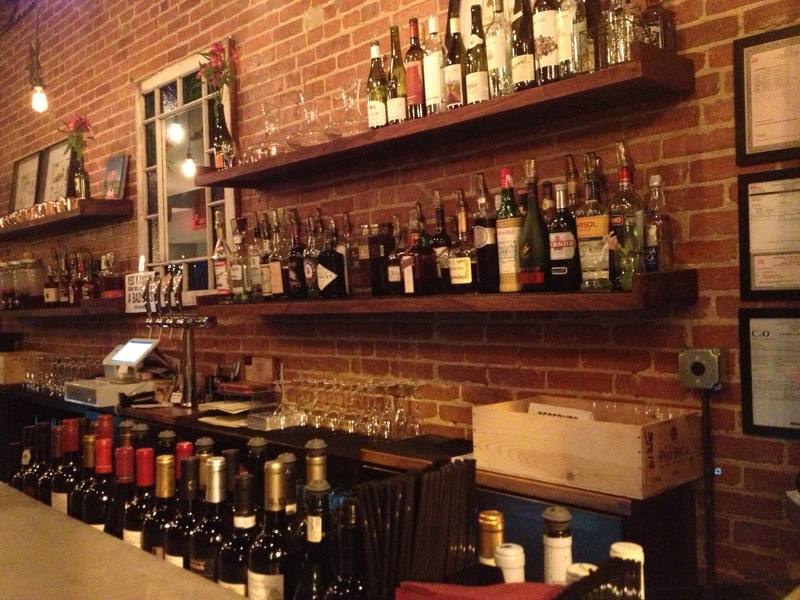 H Street has a great wine bar? Most people would answer no to this question. However, venture east of 14th street, past the many vacant storefronts and you will quickly learn that Pursuit Wine Bar (1421 H Street, NE) opened quietly this summer and is subtly filling an important void in the Atlas District. For many people, the H Street Corridor ends at 14th street because there are not many establishments east of there besides the Argonaut. Yet, Pursuit is well worth your time. On any given night, there are well over 40 wines available by the glass as well as beer and cocktails for the non-vino drinkers. Not sure what you want or want to experiment? 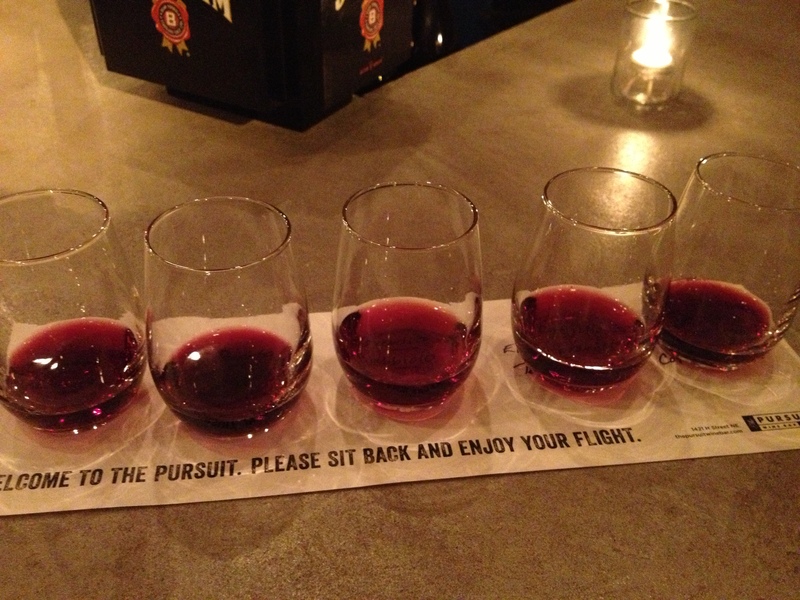 Try their flight of five wines for the very reasonable $15. The downstairs bar has over a dozen seats and a front table in the window; if the bar is full, checkout upstairs for tables. Their menu features a cheeseboard and a charcuterie board as well as several salads and a make-your-own grilled cheese menu. 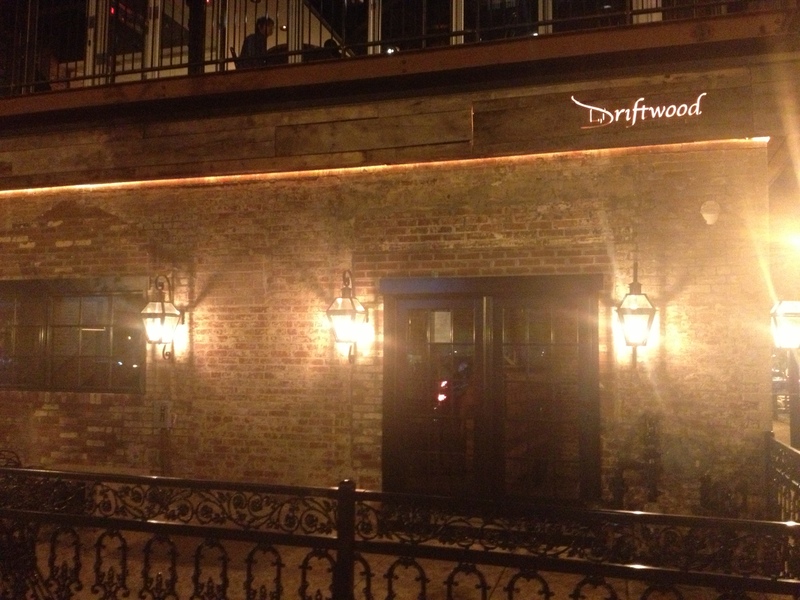 Driftwood Kitchen (400 H Street, NE) opened last Sunday for dinner. We’ll have an initial review going up soon (spoiler: we liked it), but in the meantime wanted to post their menu which isn’t on their website yet for those who are interested in trying Driftwood.